A baked potato loaded with goodies—think bits of salty, smoky, bacon and tangy sour cream, sharp cheddar cheese and fresh chives—is an ideal side to go with a nice seared steak or a roast. But for steaks grilled on your backyard barbecue on a warm summer day, a chilled potato salad seems more appropriate. 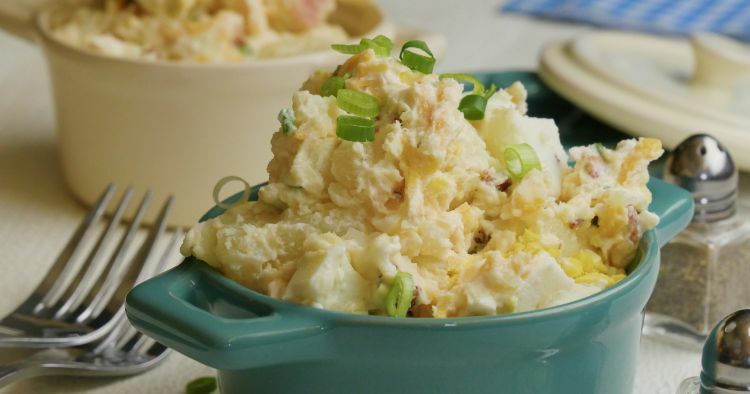 This genius recipe combines both dishes into a potato salad that’s loaded with all of the same tasty bits. We use russet potatoes here, just as we would for the classic baked version because the starchier variety tends to soak up the flavors better. Substituting sour cream for half of the mayonnaise maintains the creaminess of the original recipe, but adds an acidic flavor note that lifts the dish up. If you don’t have fresh chives, substitute sliced scallions or diced red onion. 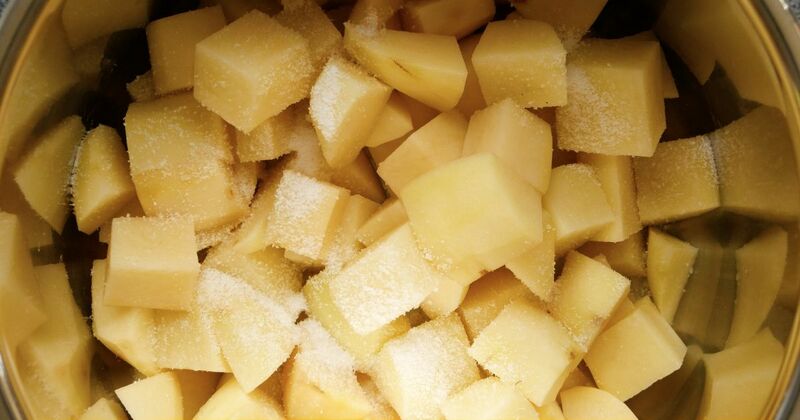 Add the bacon, sour cream, mayonnaise, cheese and chives to the potatoes and fold gently to mix. Season with salt and pepper to taste.